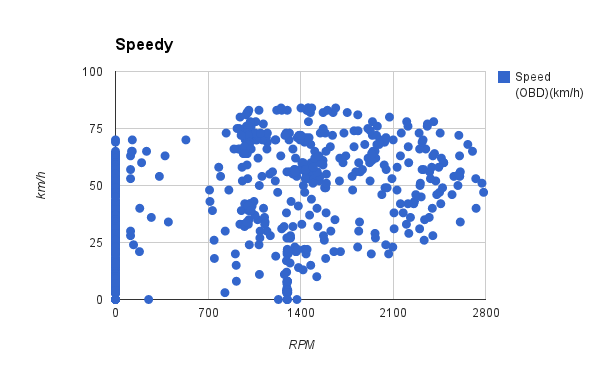 These are data of car speed at various RPMs. 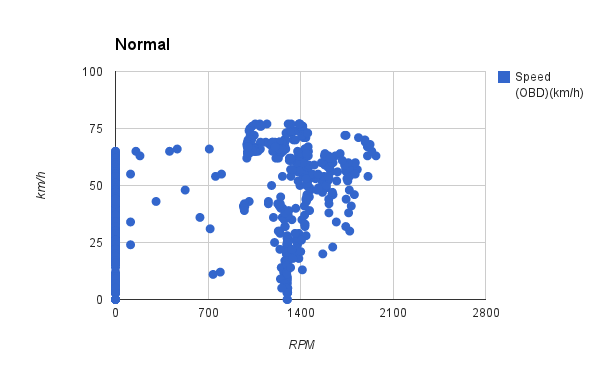 one at 0 RPM, where we have the car running on electric power up to 70 km/h, and one at 1300 RPM, that seems to be the sweet spot of the engine. Speedy driving leads to higher RPM and a wider distribution. 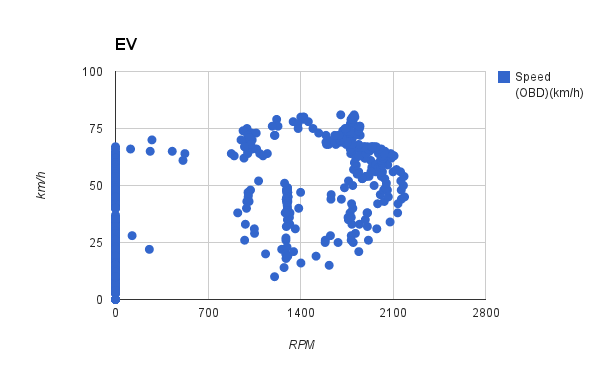 Use of EV mode, leads to higher RPM than normal: note the aggregation around 2100 and the gap between 1300 and 1600.